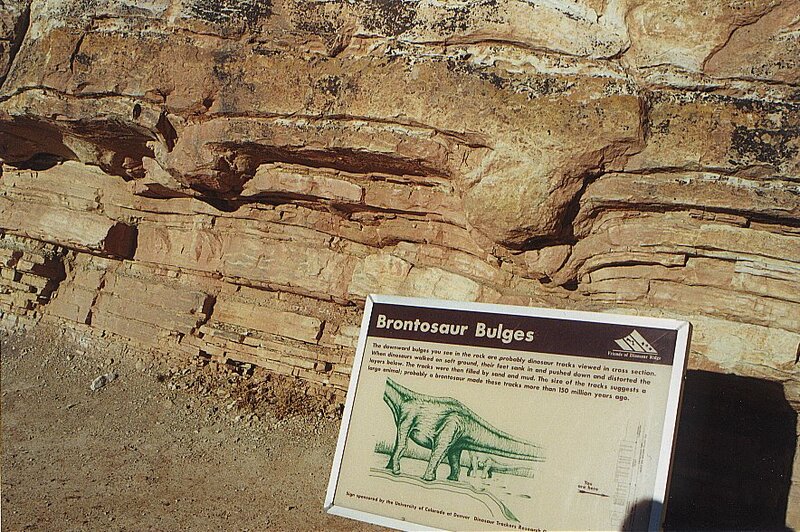 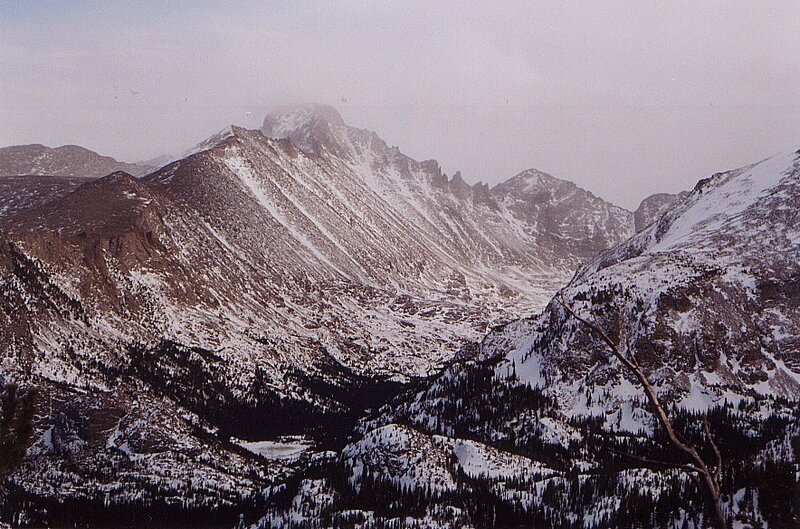 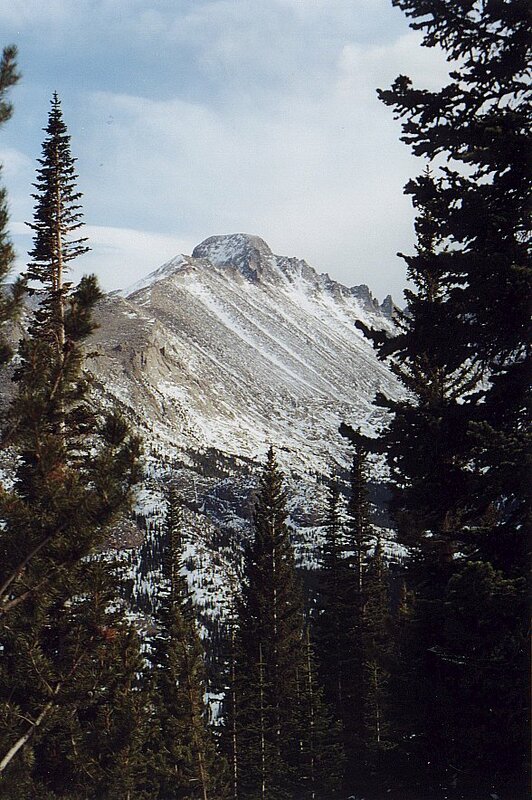 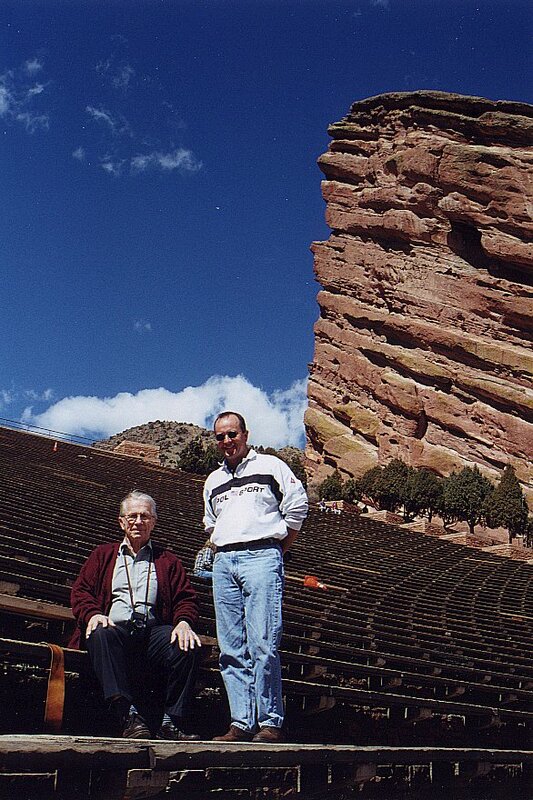 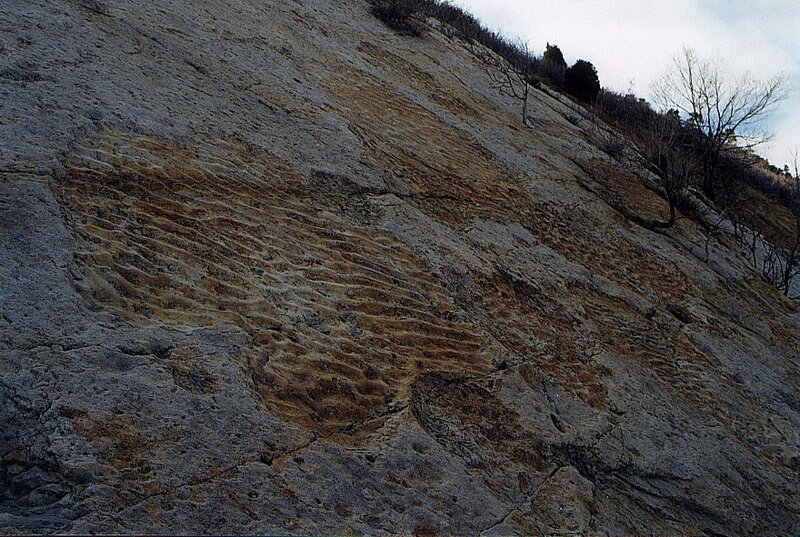 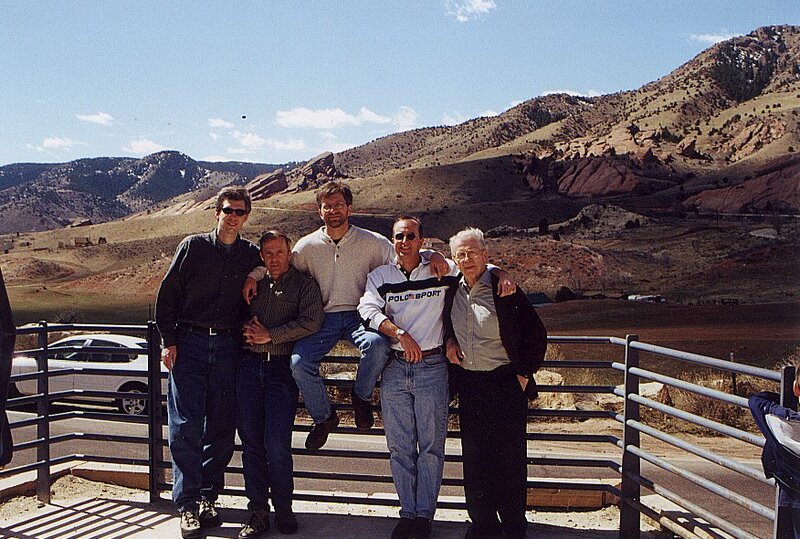 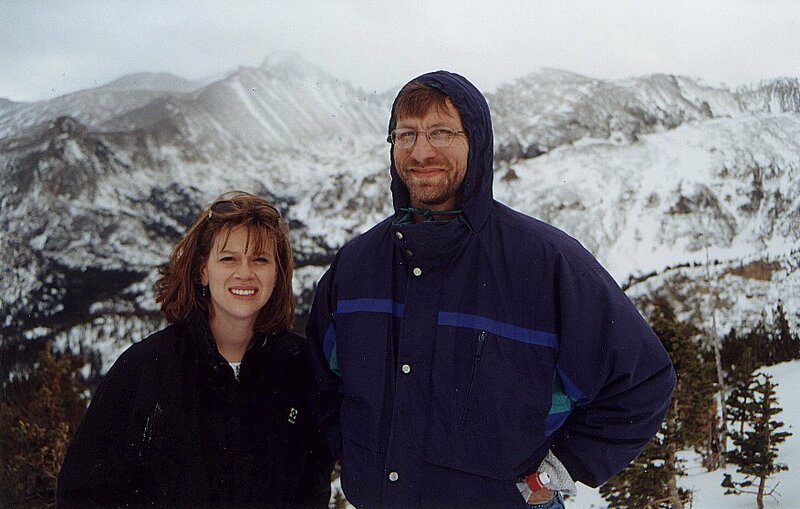 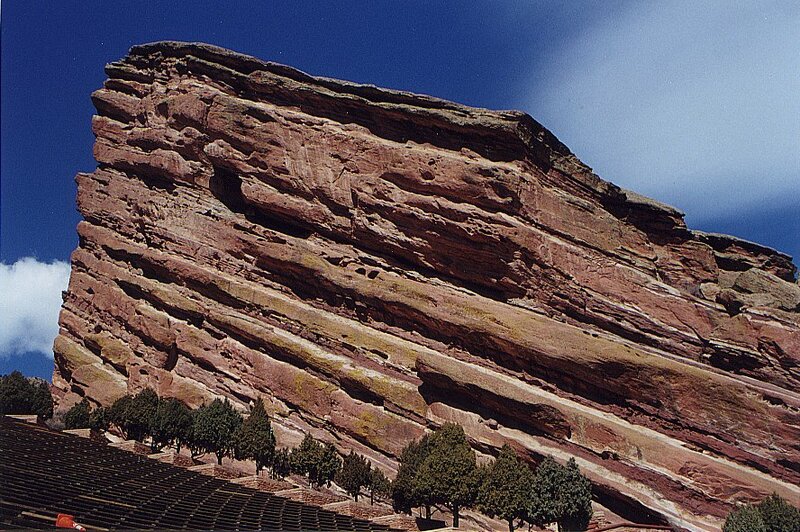 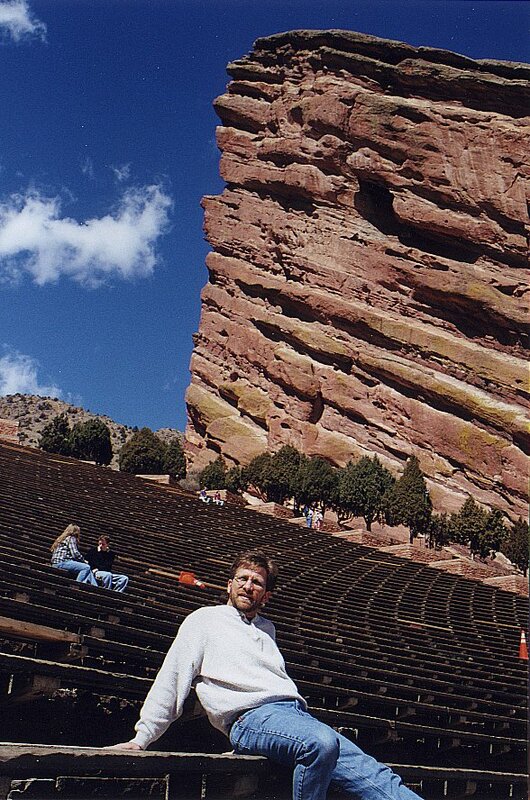 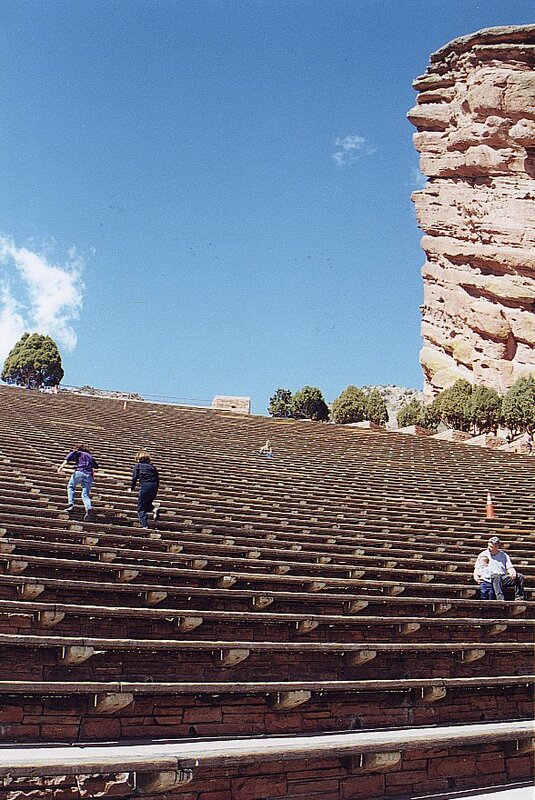 Red Rocks Park 2001 #4 - An amazing and beautiful location! 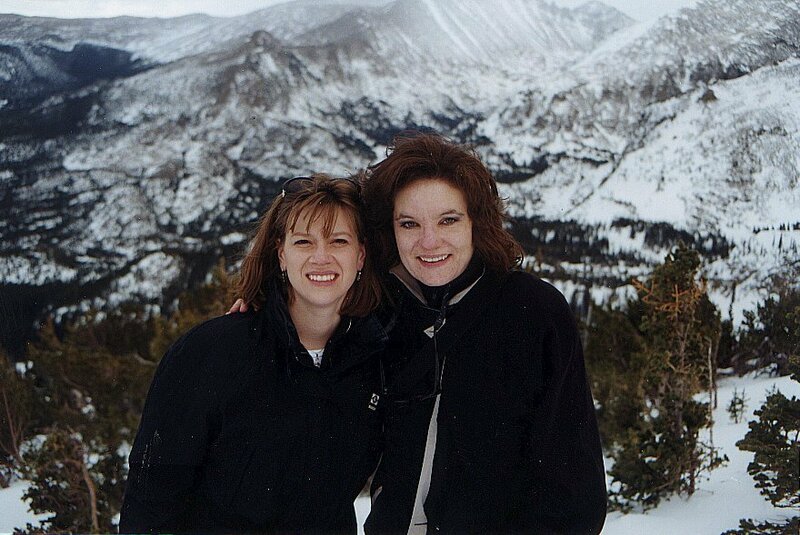 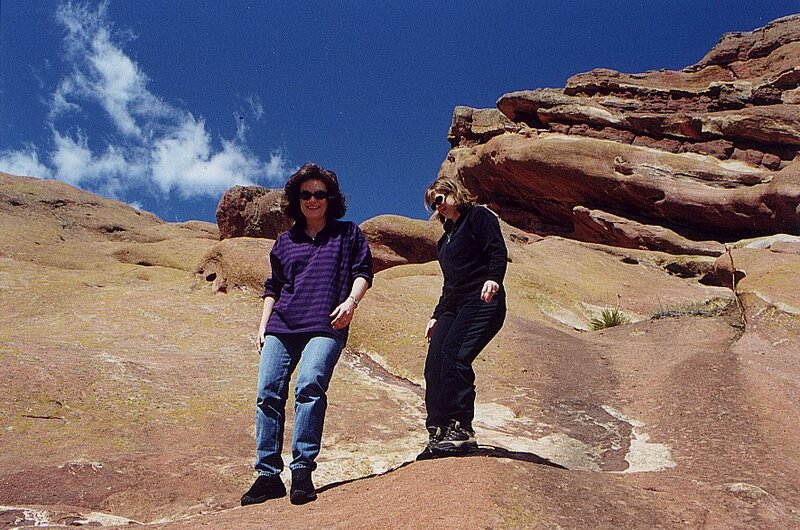 Red Rocks Park 2001 #5 - Julie challenges Donna to a race up the ampitheatre - practicing for Ararat? 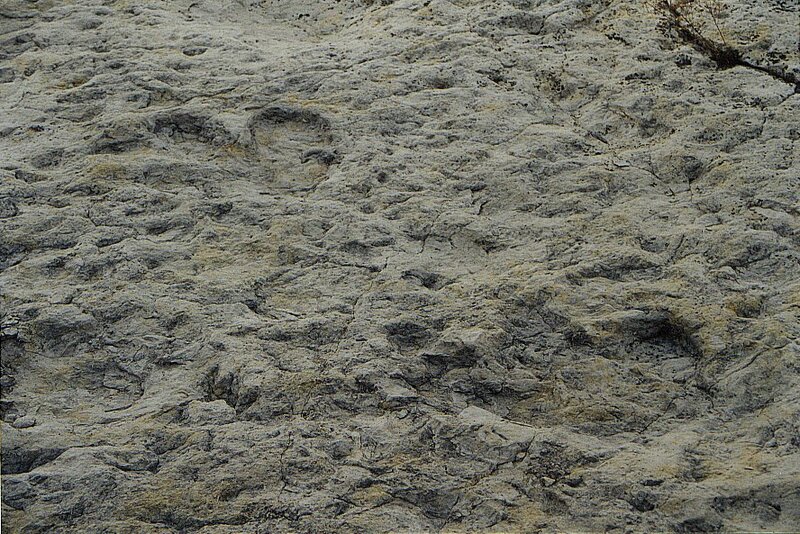 At least the steps don't move like that rocks on Agri Dagi! 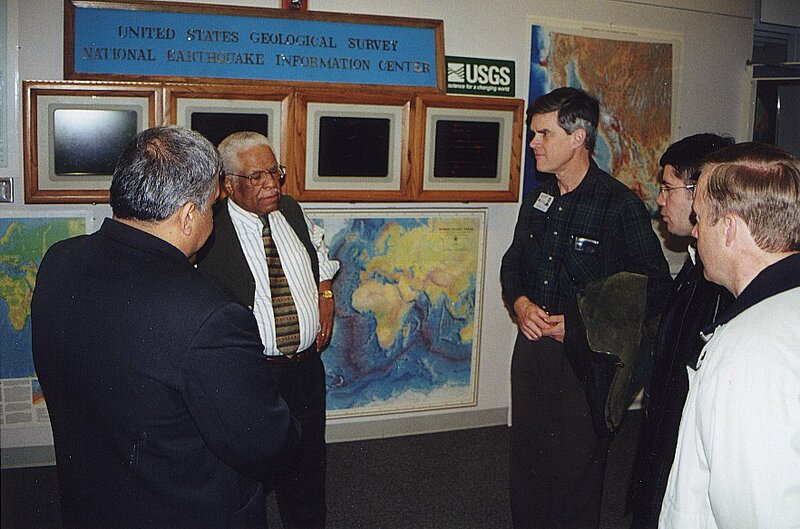 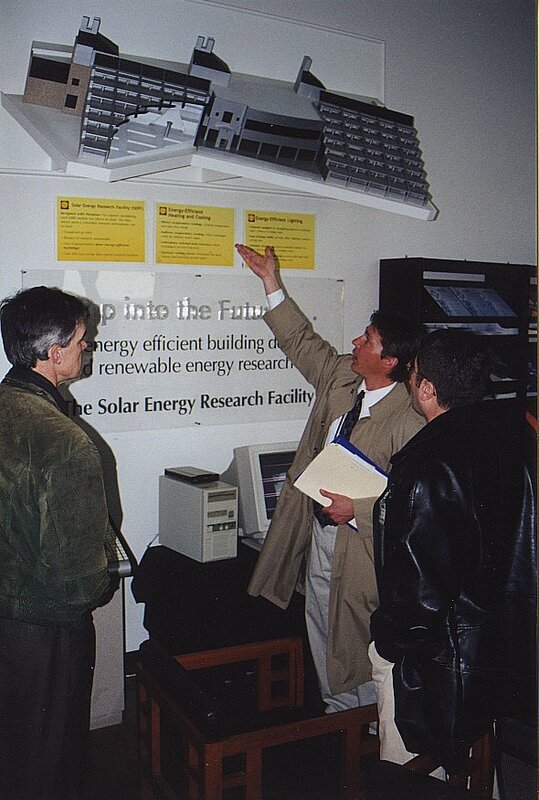 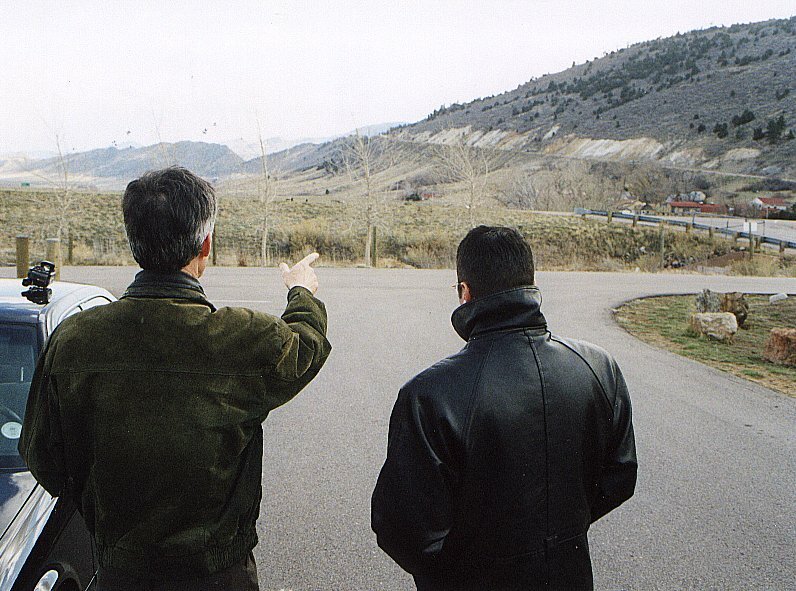 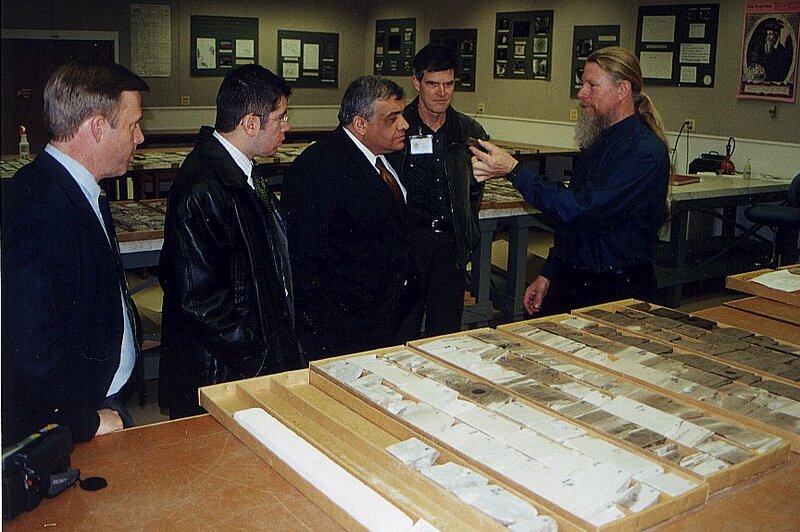 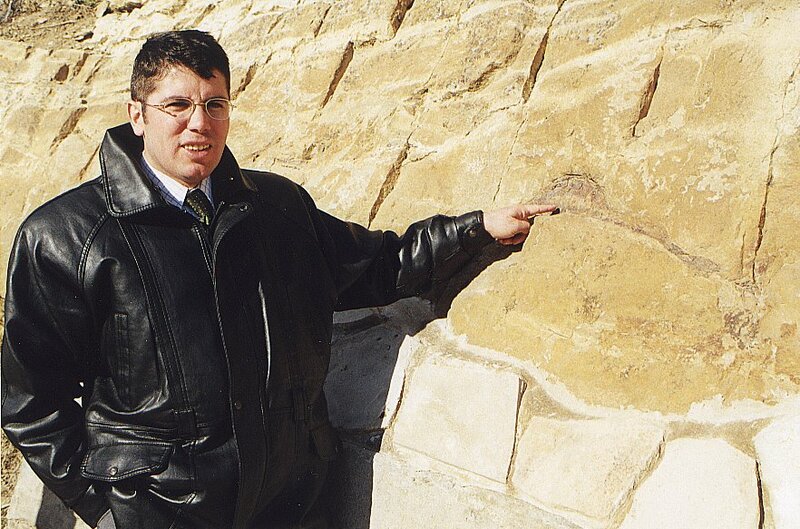 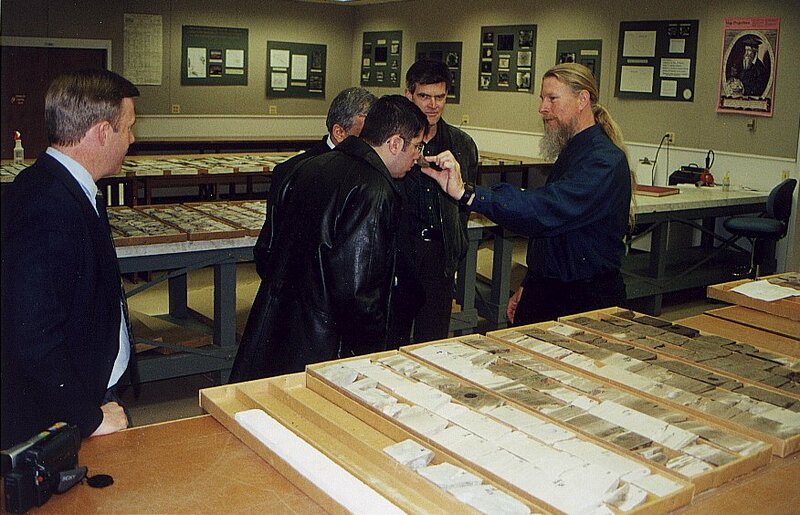 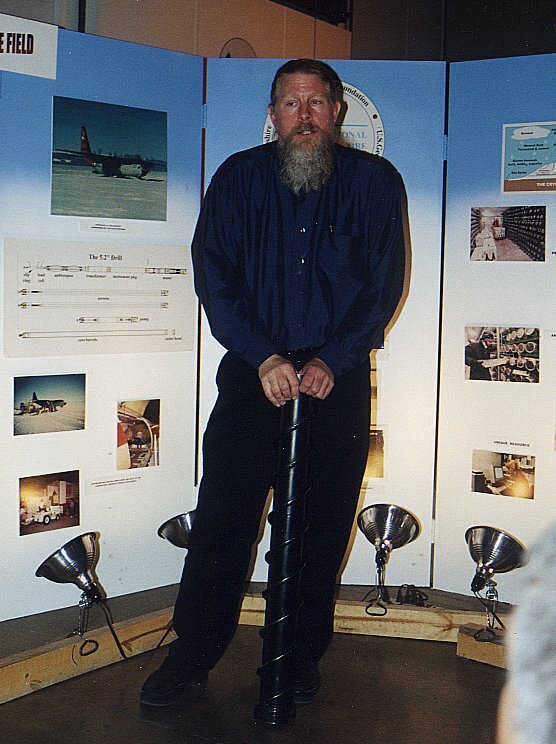 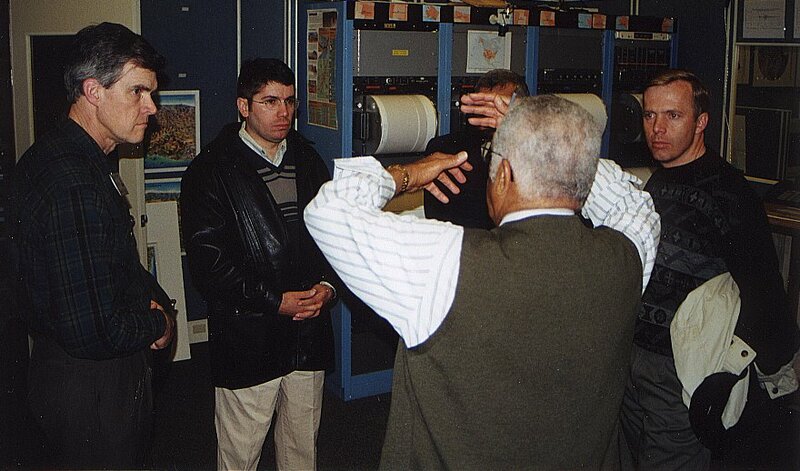 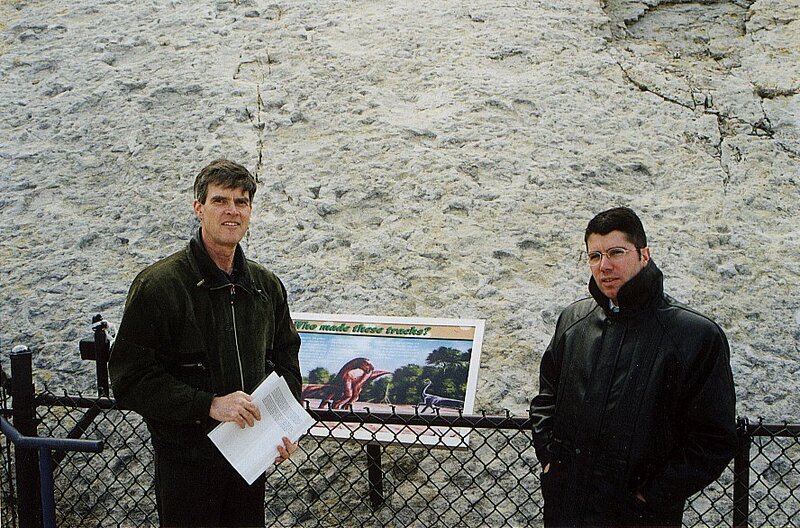 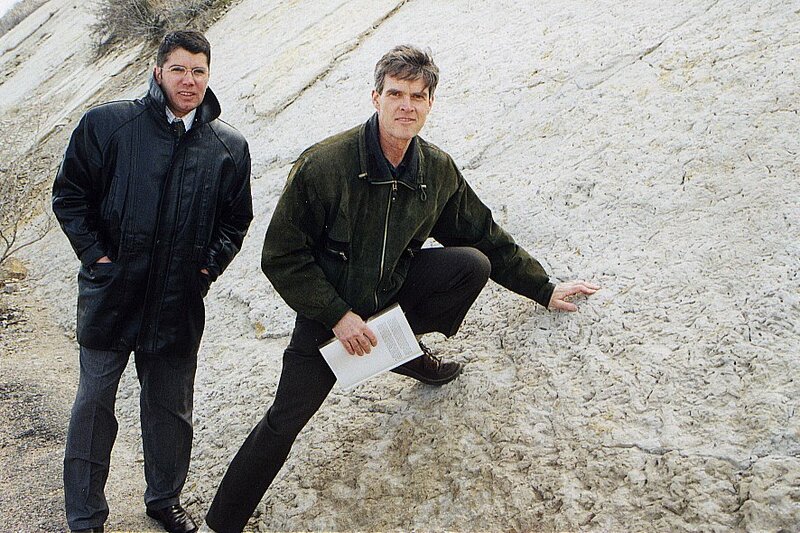 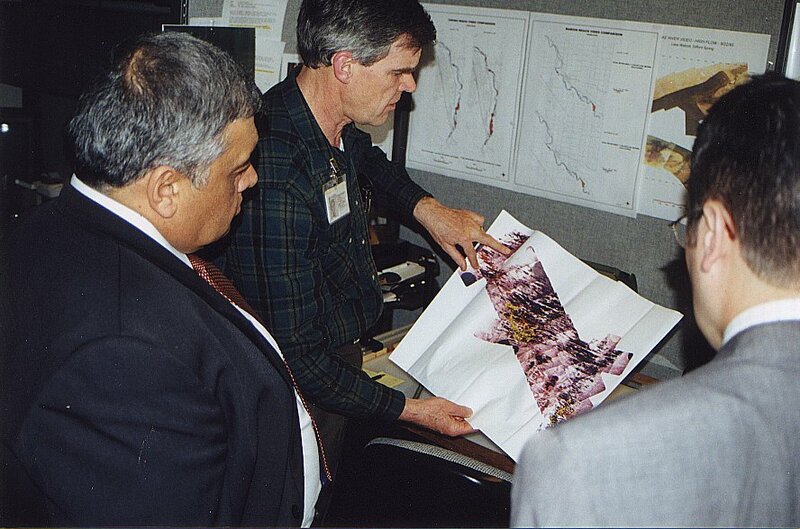 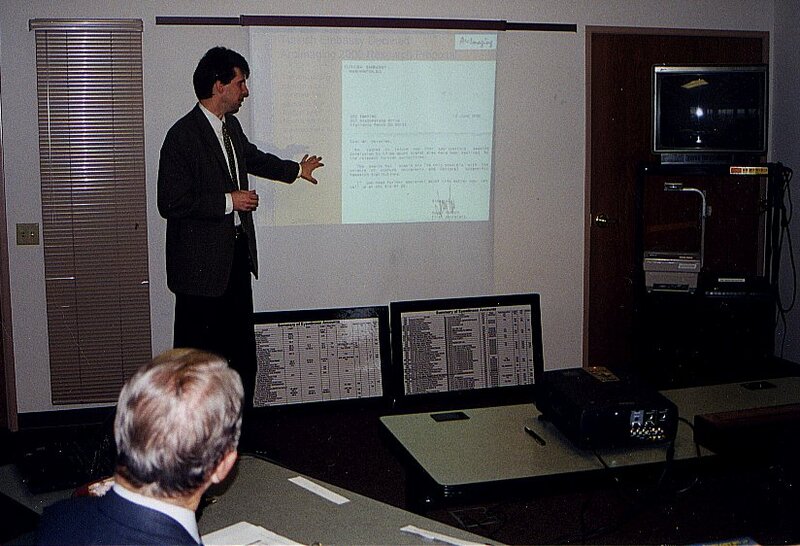 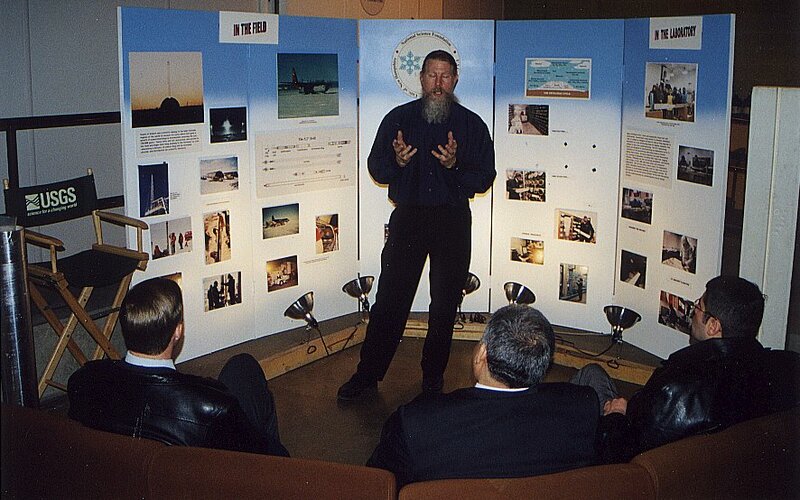 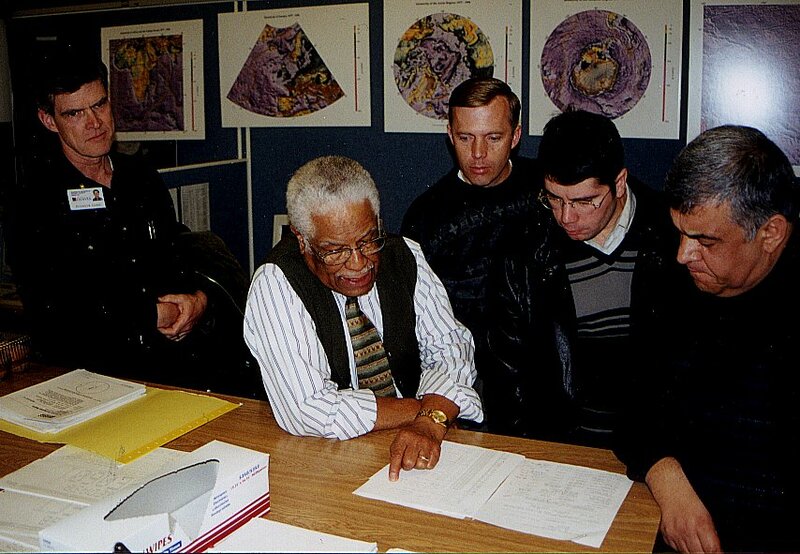 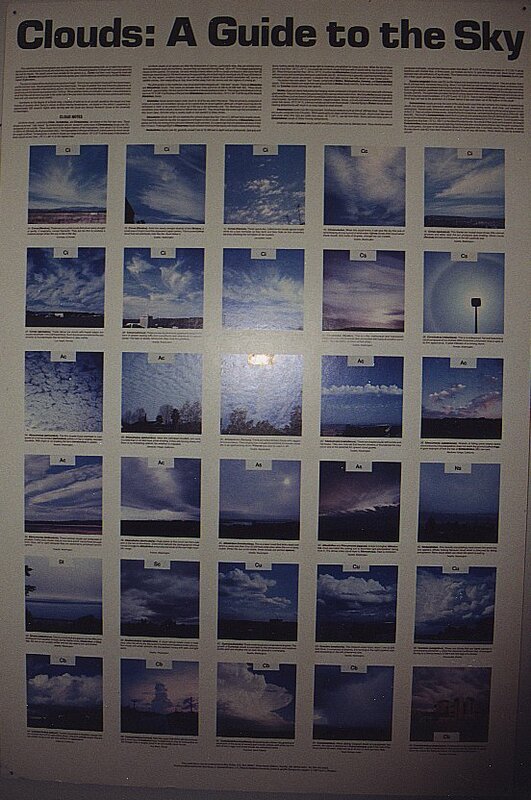 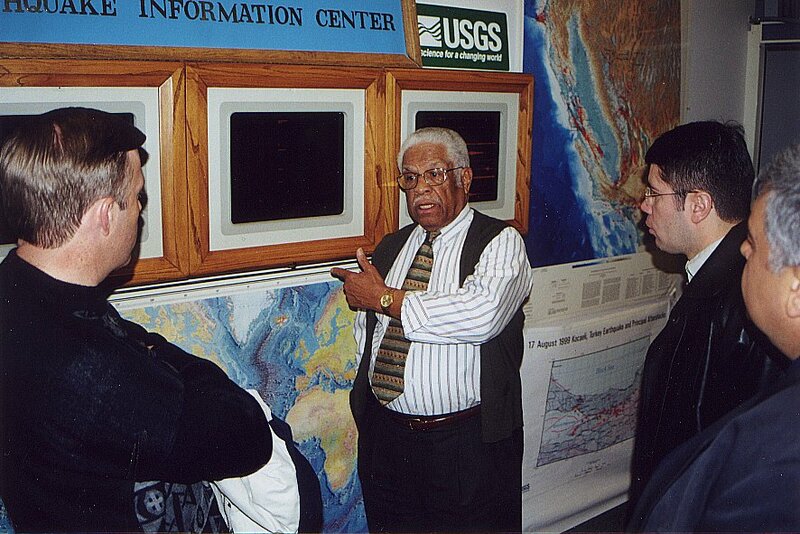 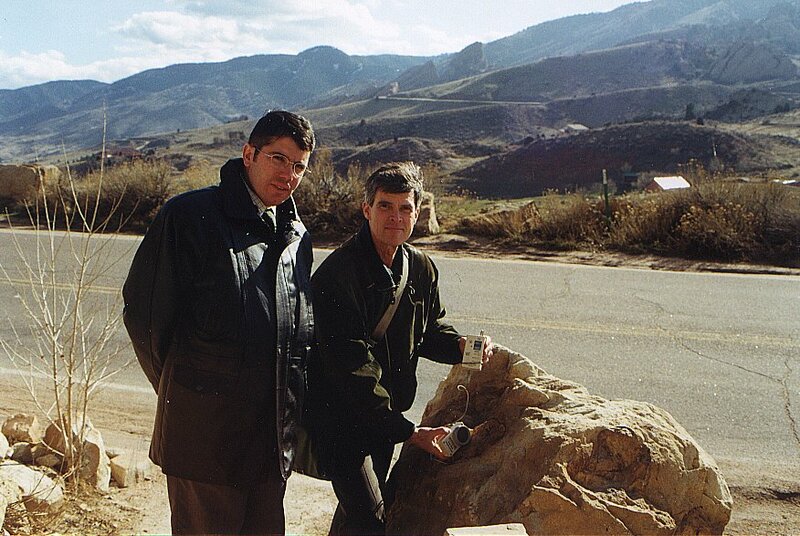 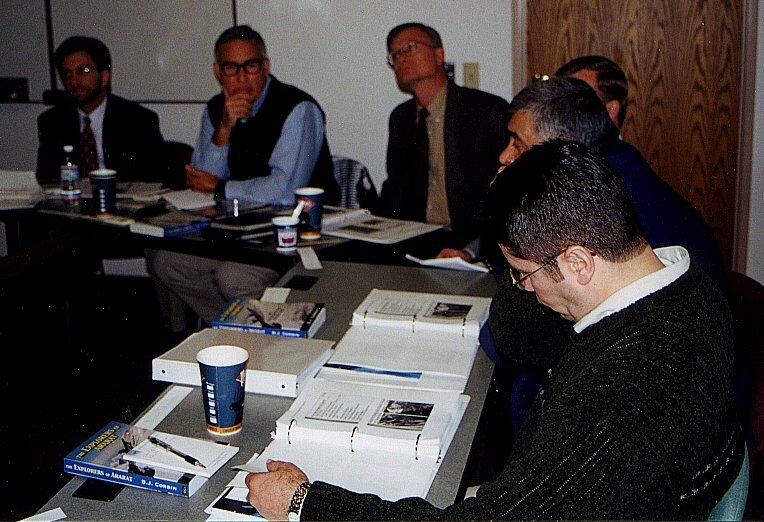 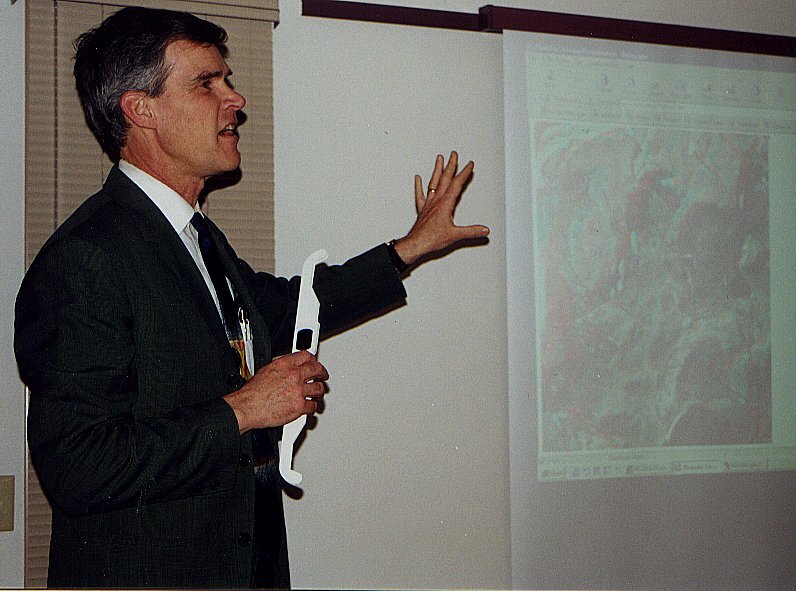 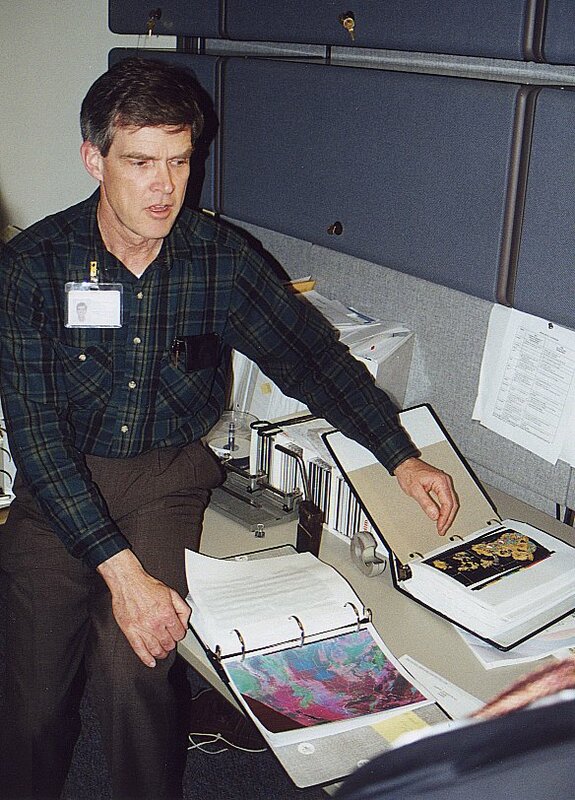 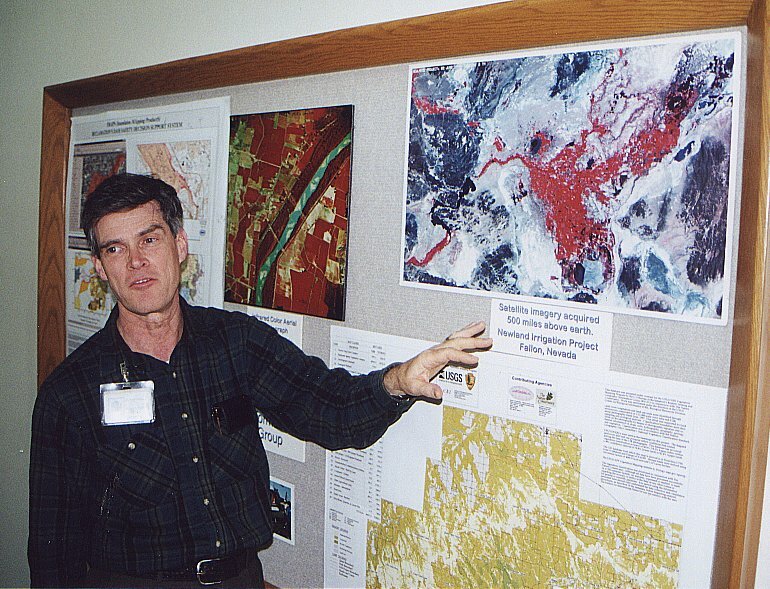 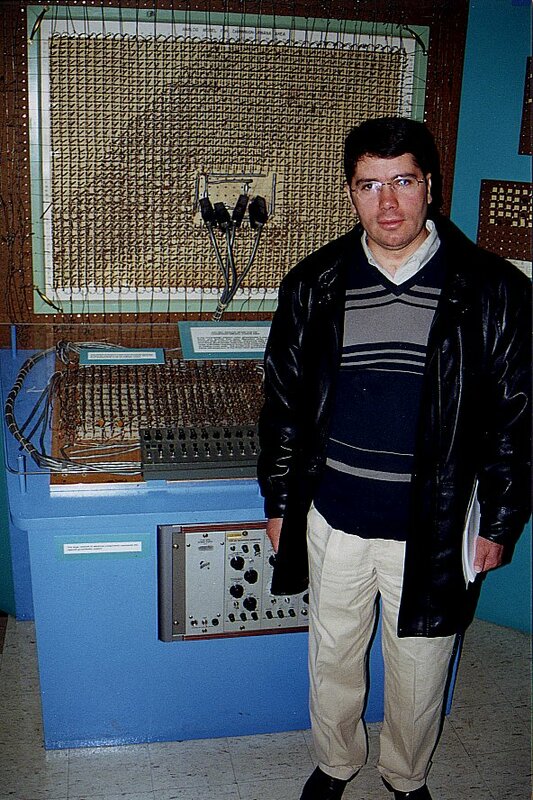 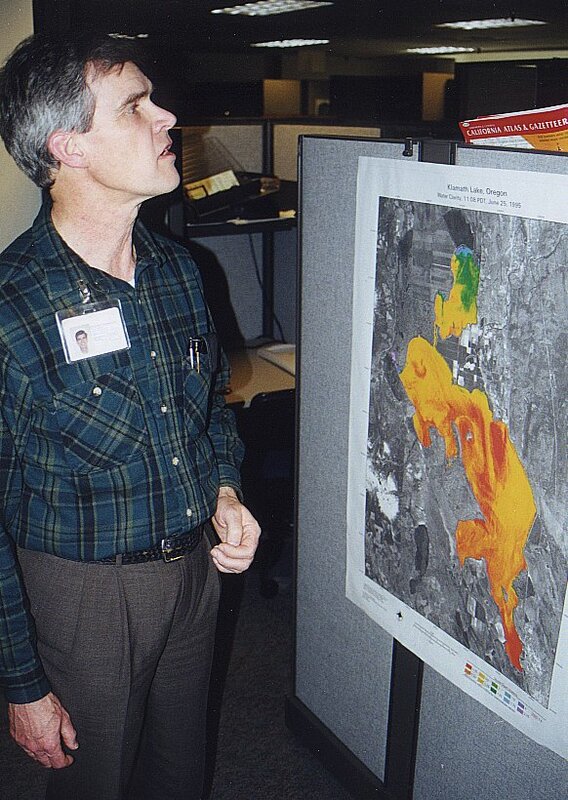 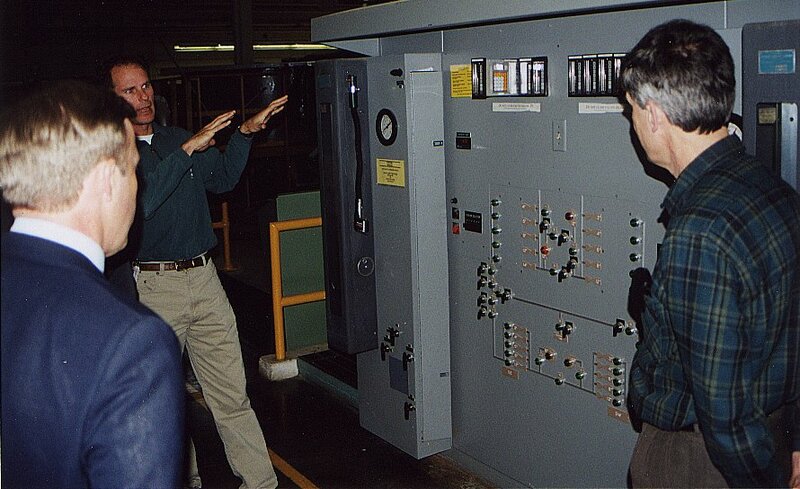 U.S. Bureau of Reclamation 2001 #8 - Dr. Holroyd discussing his metereological computer program that the U.S. 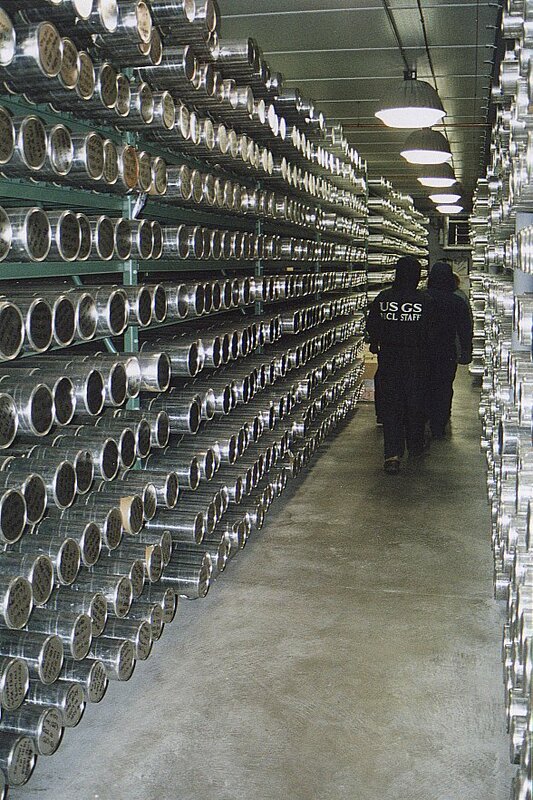 Weather Service will use to determine snow fall around the U.S.
U.S. Geological Survey National Ice Core Laboratory 2001 #4 - All ready to go into the Arctic elements! 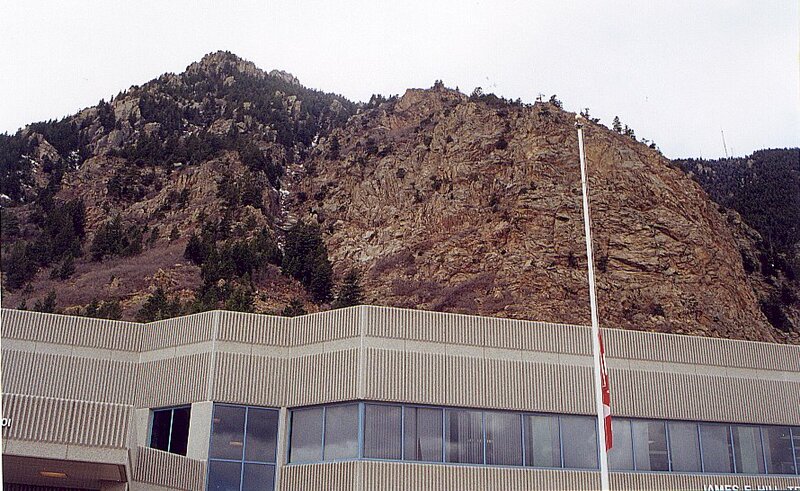 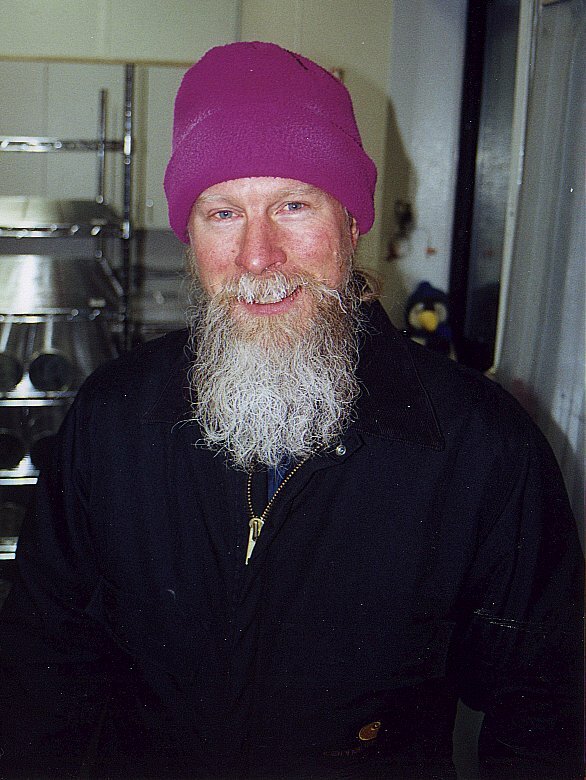 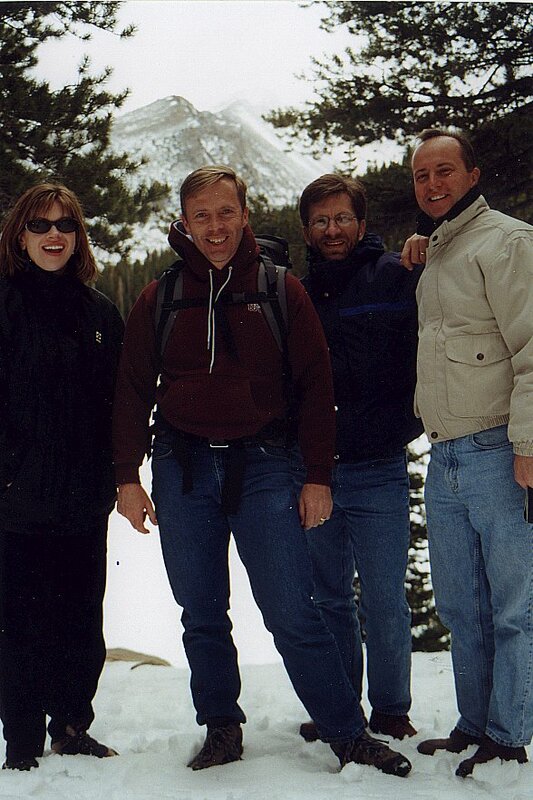 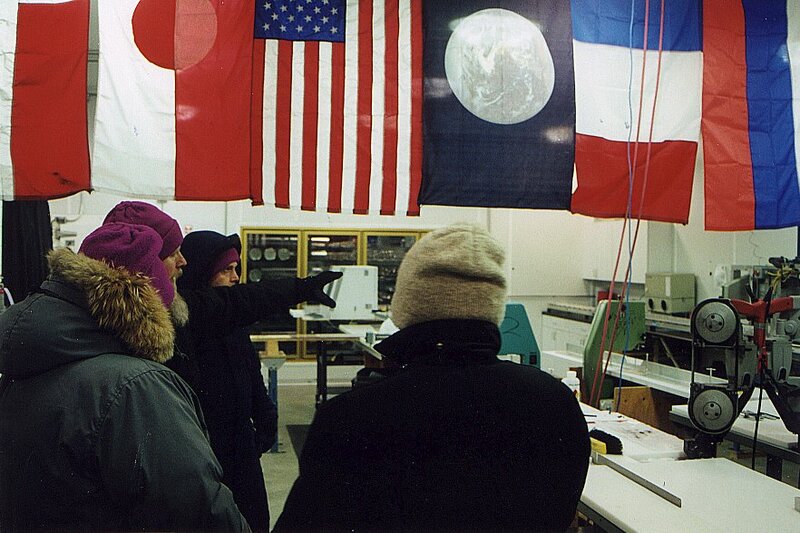 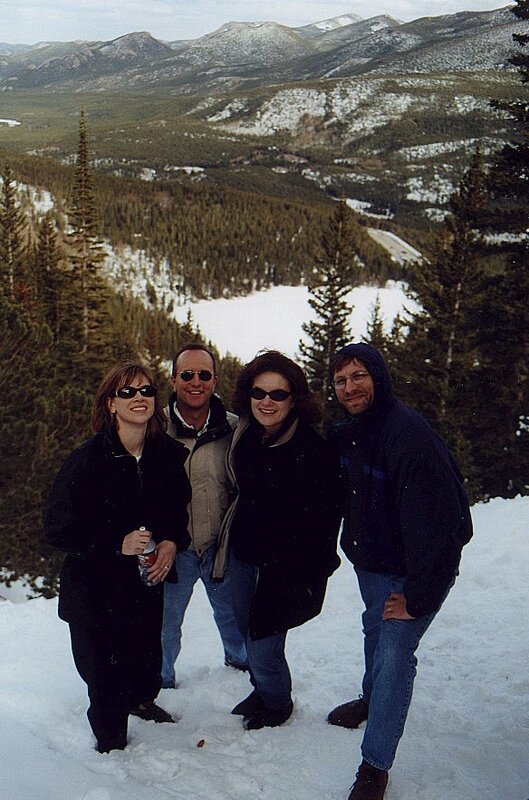 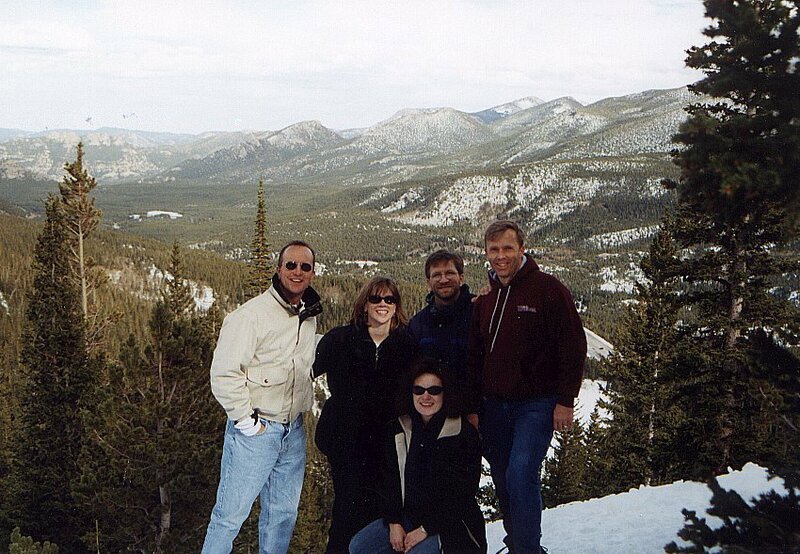 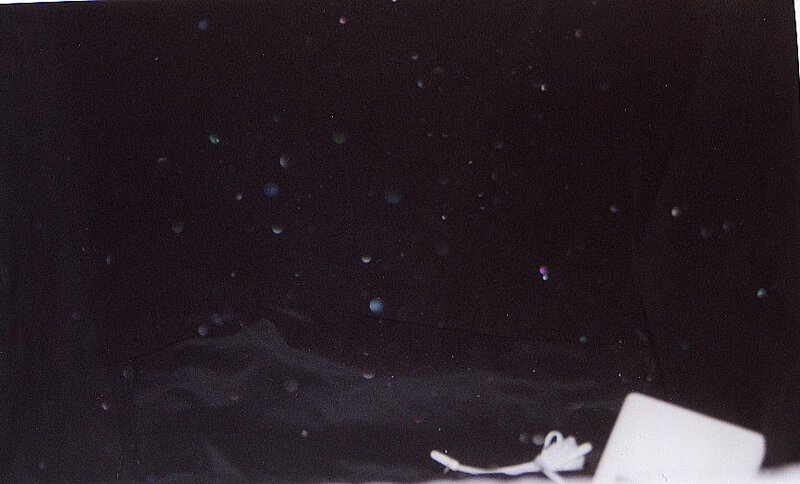 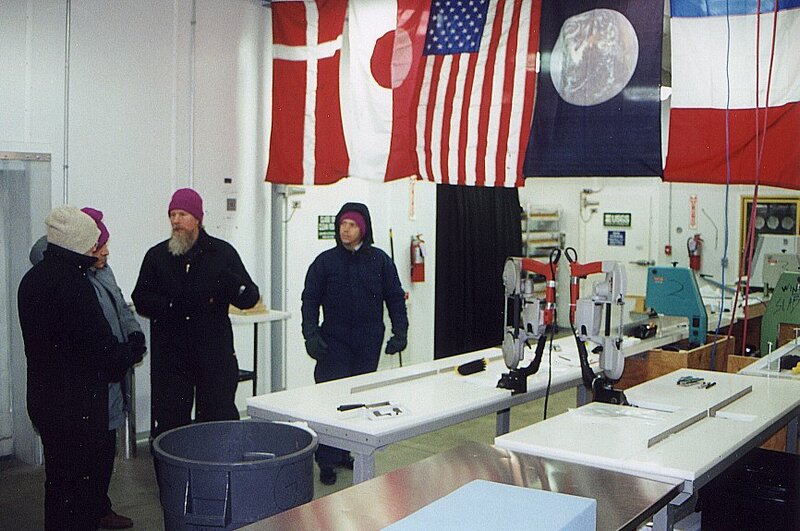 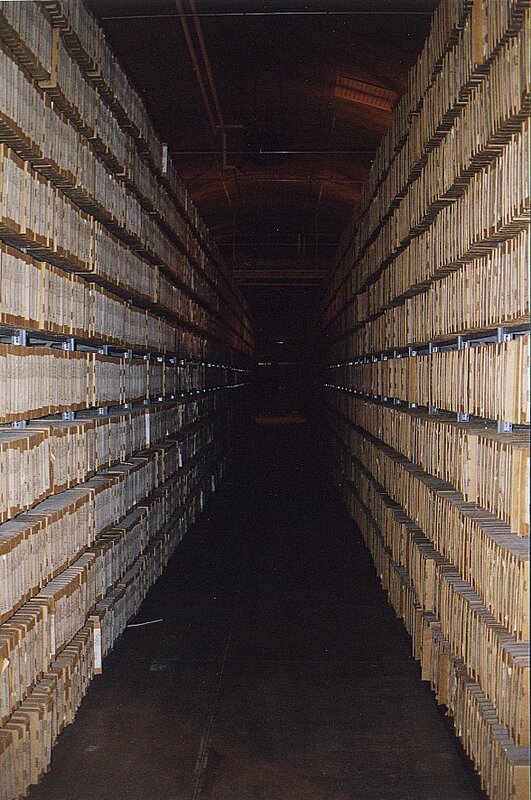 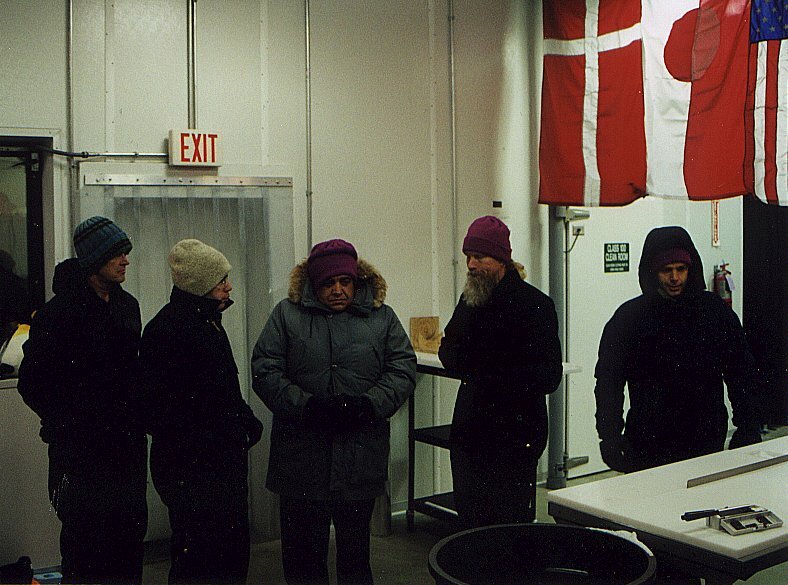 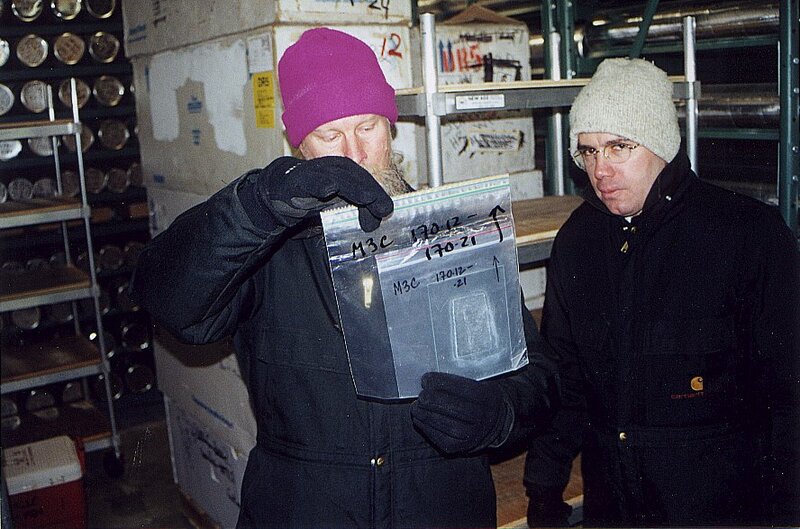 U.S. Geological Survey National Ice Core Laboratory 2001 #5 - Working Lab - a balmy negative 24 degrees! 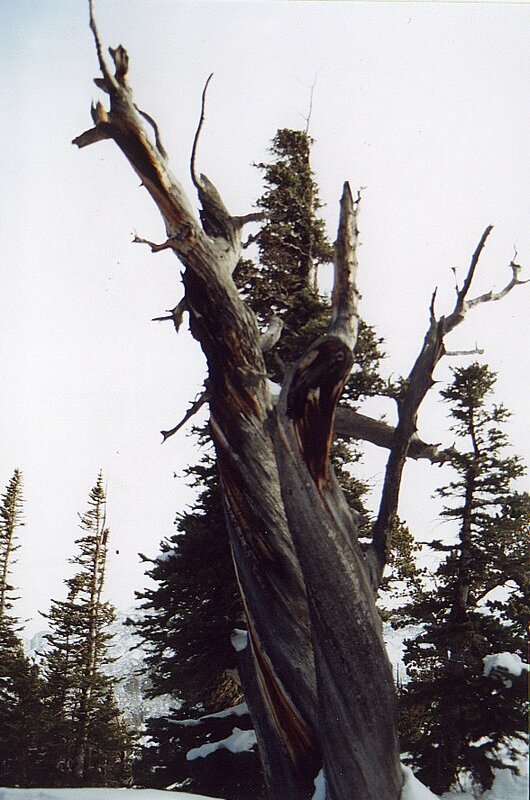 Burrr! 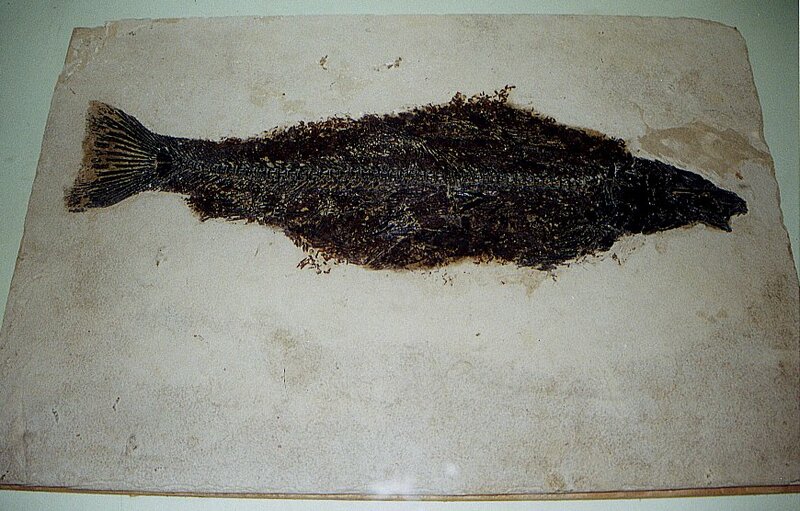 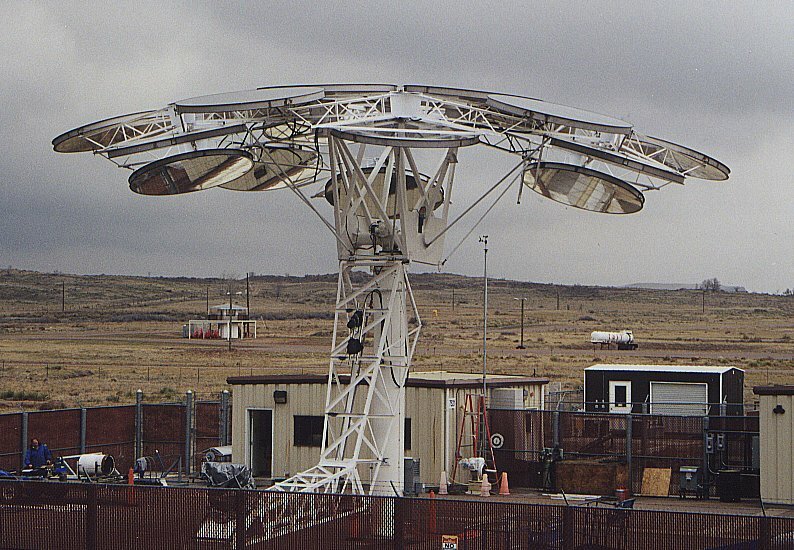 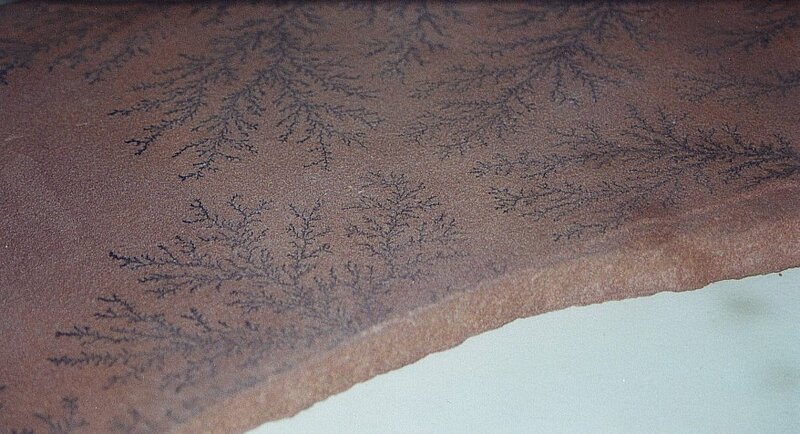 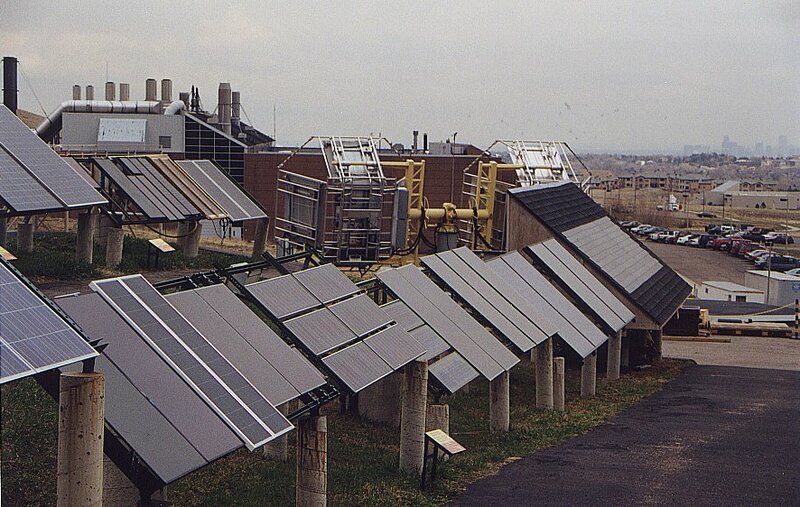 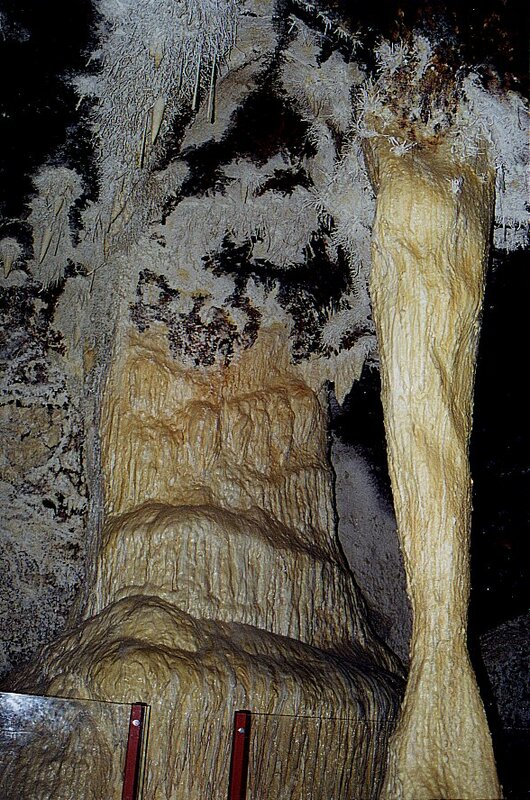 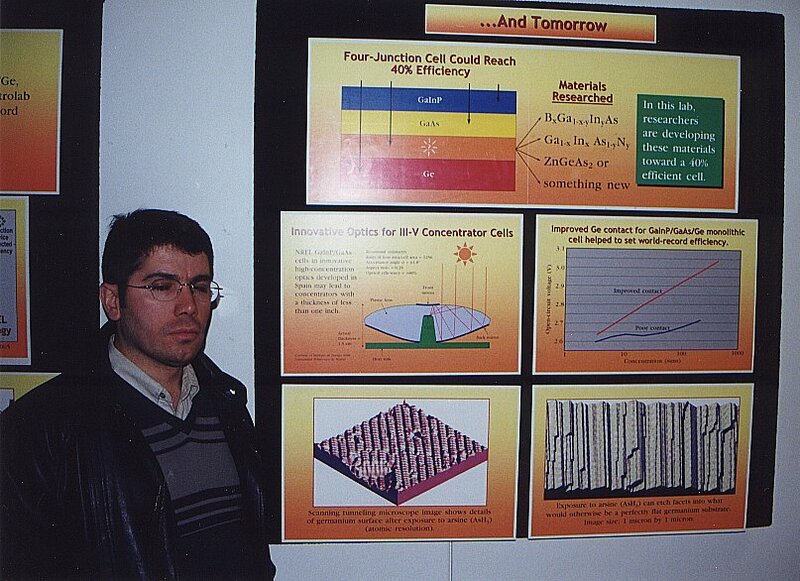 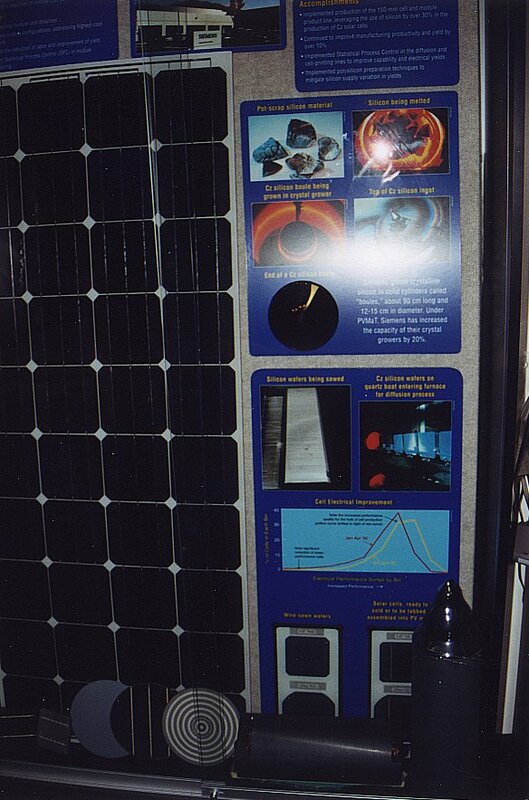 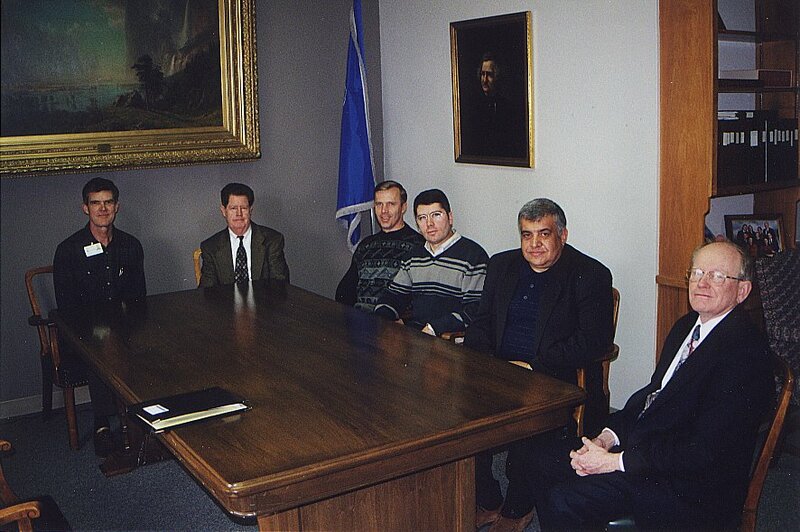 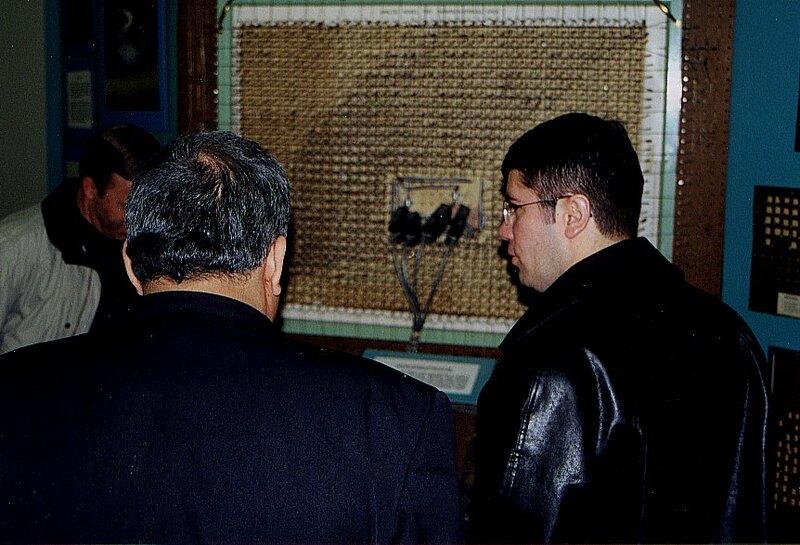 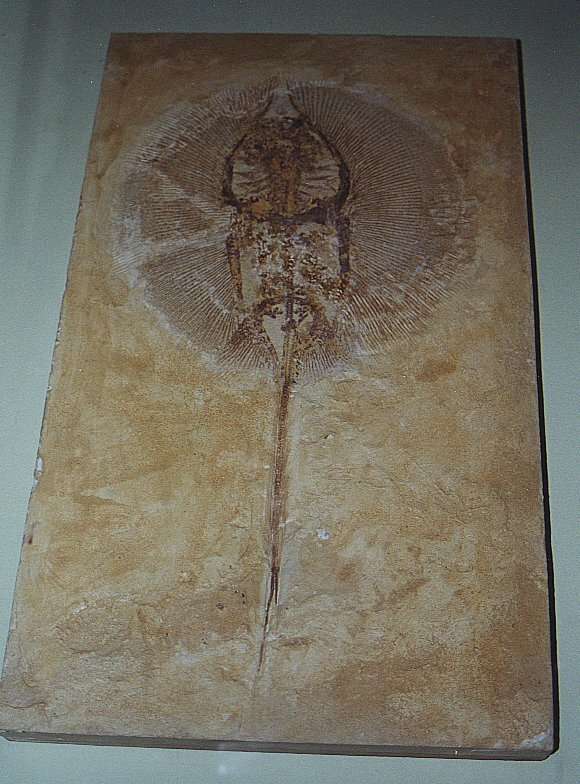 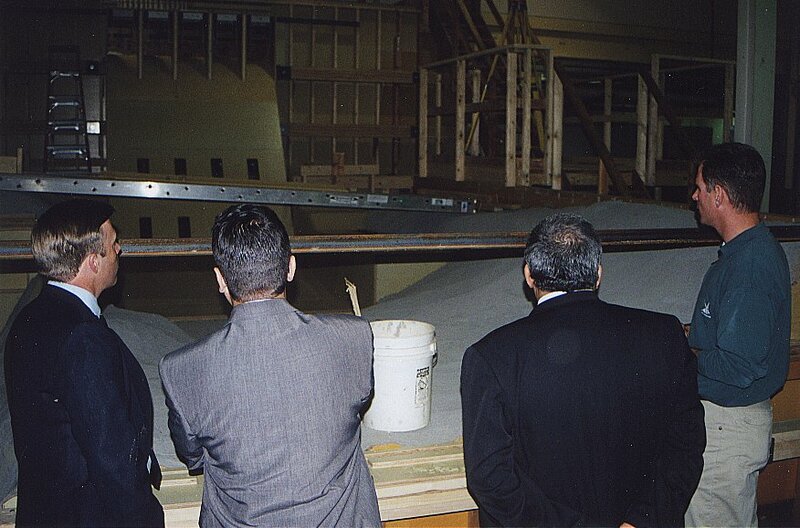 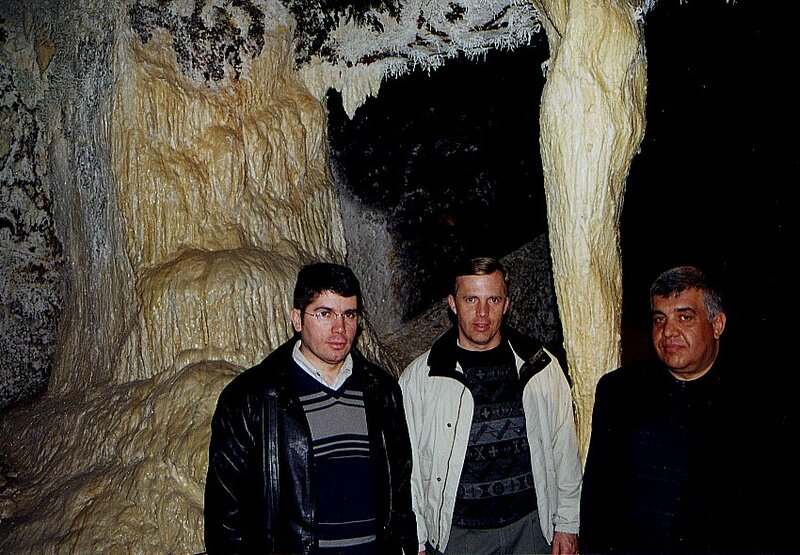 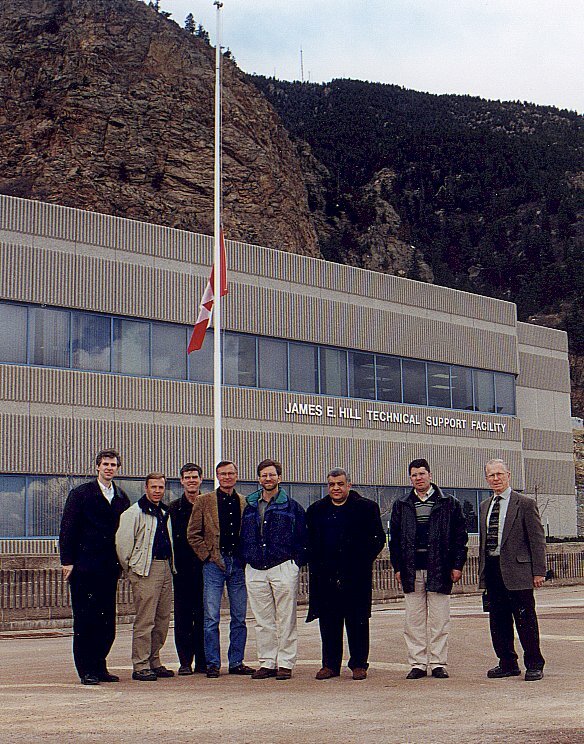 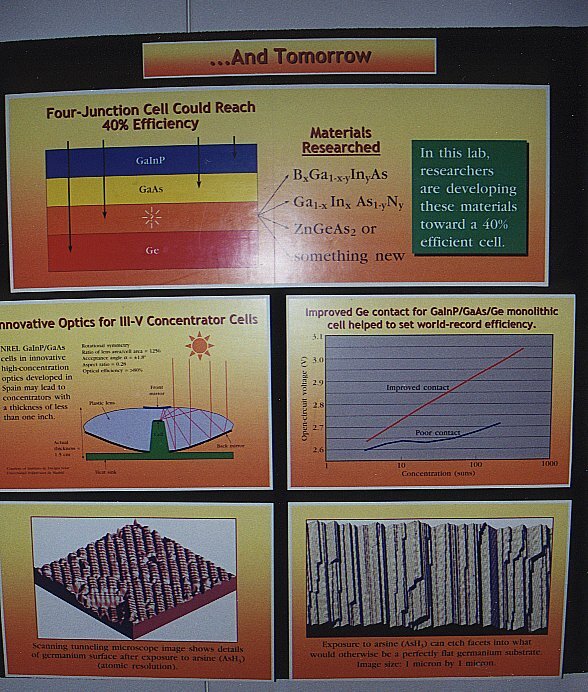 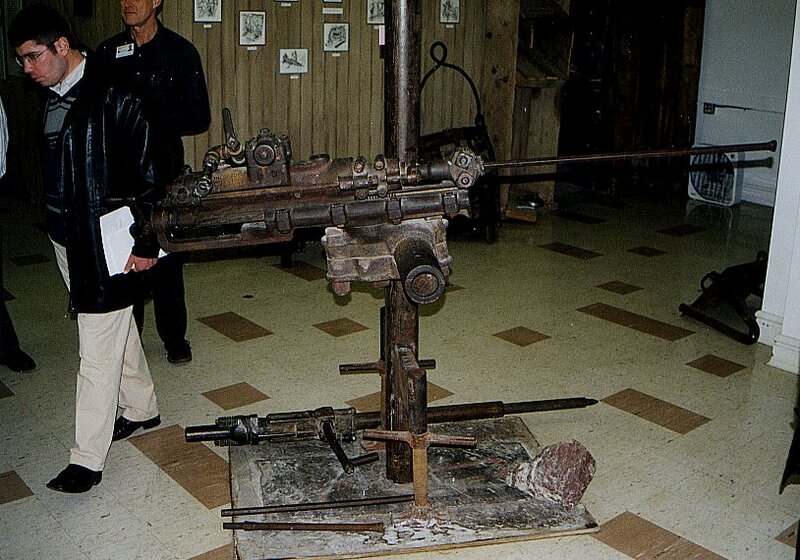 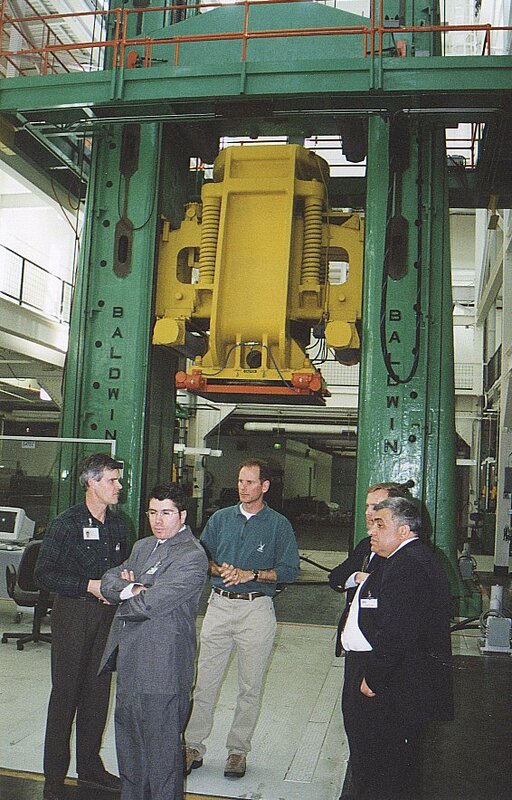 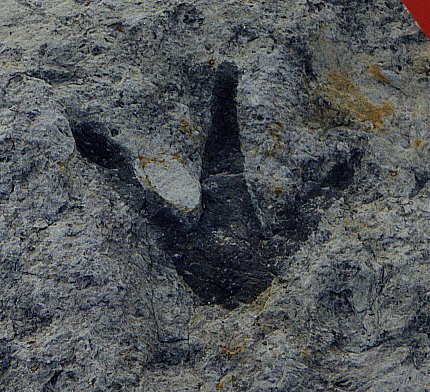 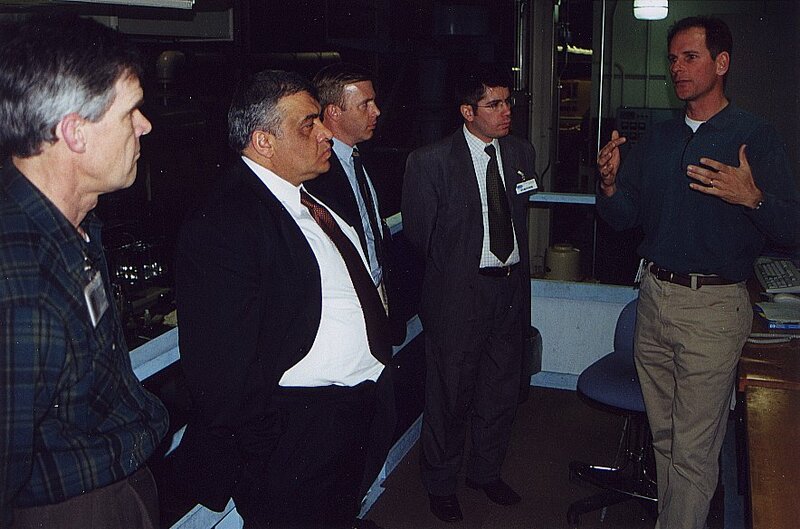 U.S. National Renewable Energy Laboratory 2001 #2 - Semi-conductor Research for which Dean Sebahattin Tuzemen received his Ph.D.
U.S. National Renewable Energy Laboratory 2001 #3 - Semi-conductor Research for which Dean Sebahattin Tuzemen received his Ph.D.